Hi, it’s derpchan, the member of This is Sternbild who has a little shopping obsession. I mentioned in my review of the Limited Version of Katsura’s artbook that getting S.H.Figuarts Wild Tiger with it made me want more – specifically Barnaby. Thanks to the frequent reprints, I finally managed to grab him and today he arrived. And a few more pictures in the Facebook album. 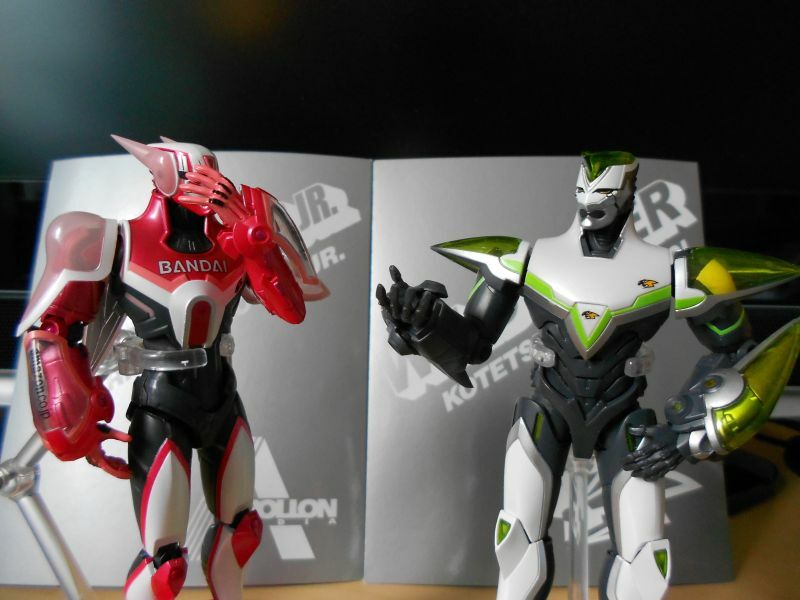 Seems that the S.H.Figuarts of Wild Tiger and Barnaby have finally reached a point where they aren’t constantly SOLD OUT. Barnaby was in stock at Big in Japan and Wild Tiger at Hobby Search. 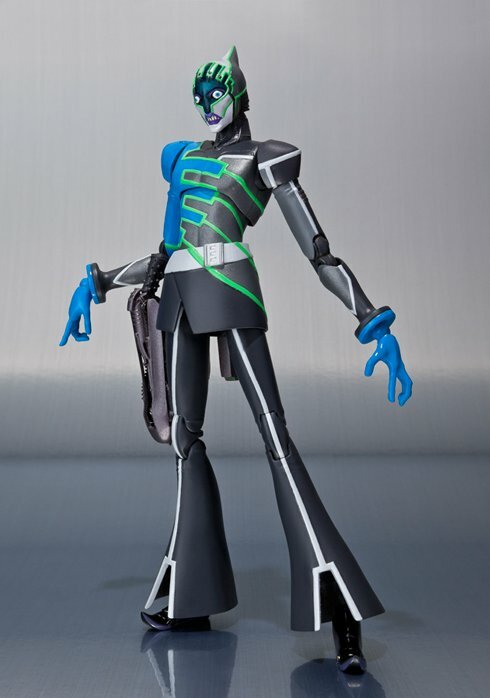 This morning MegaHouse finally announced via tweet the pre-order date for its G.E.M. 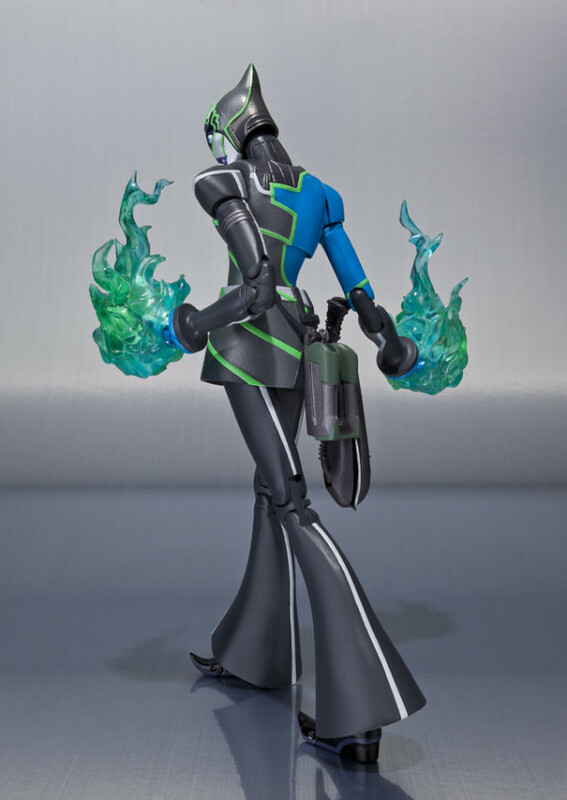 series Kaburagi T. Kotetsu figure. The pre-order for the scale figure of everyone’s favorite moe ojisan will open on May 9th at 18:00 JST. He will retail at 6,800 JPY with an expected September release. Which ones of you will be hitting F5 or Command R on a continuous loop on May 9th? This is going to be an interesting battlefest since MegaHouse has decided to open Kotetsu’s pre-order at the same time with One Piece P.O.P Sailing Again Nico Robin. 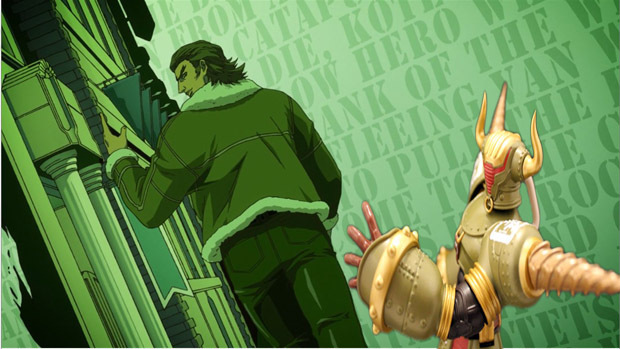 I expect G.E.M series Kotetsu to sell out within minutes. Bandai has given TaiBani fans a lot reasons to lose sleep and battle for their favorite Heroes in action figure form with the S.H.Figuarts line. 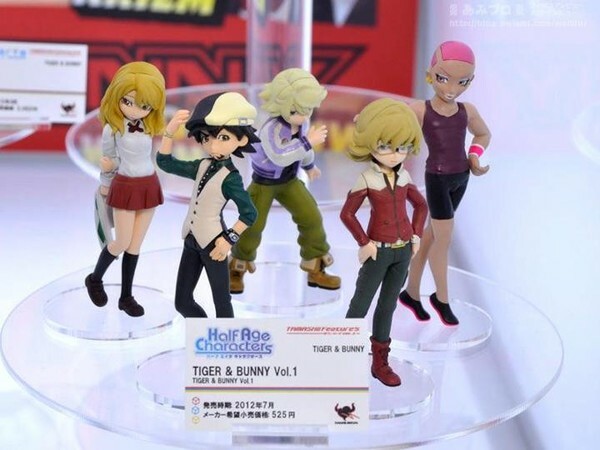 The line so far has seen the releases of Wild Tiger, Barnaby Brooks Jr., Sky High, Darkness Bunny, Wild Tiger Masakazu Katsura original color version, and Rock Bison. 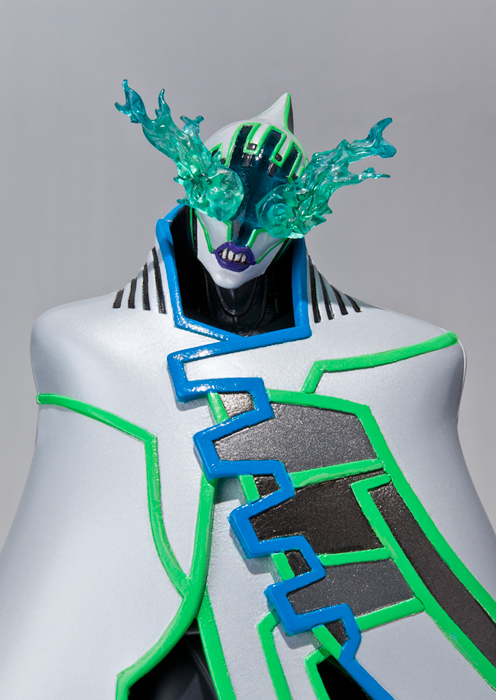 Rock Bison was the third figure released in the Figuarts line back on December 17, 2011. 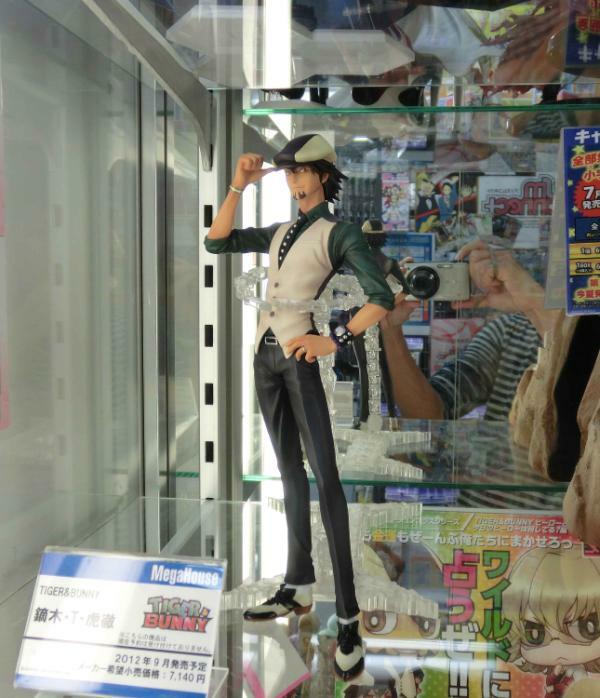 His pre-order window opened on August 1st, and like all Tiger & Bunny merchandise it sold out in a flash. 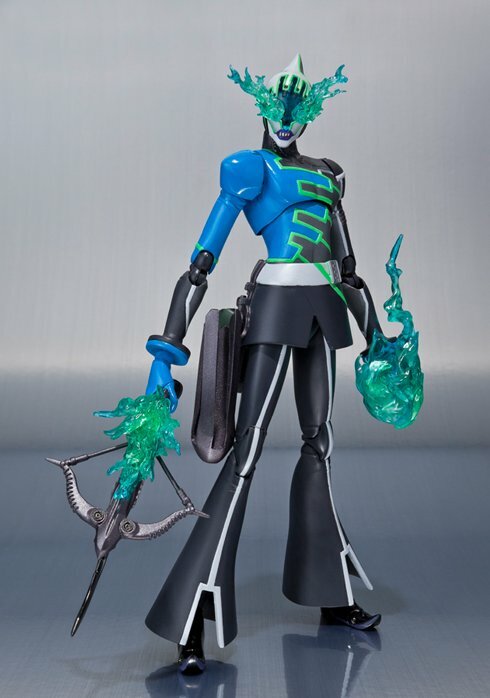 Unfortunately, I missed out on Rock Bison’s pre-order date and woke up to see the usual “Sold Out” next to his figure. Lucky for me, I was able to hunt down and obtain him a couple of weeks after his December release over at Mandarake. Now, let’s see if my hunt for Rock Bison was worth it. 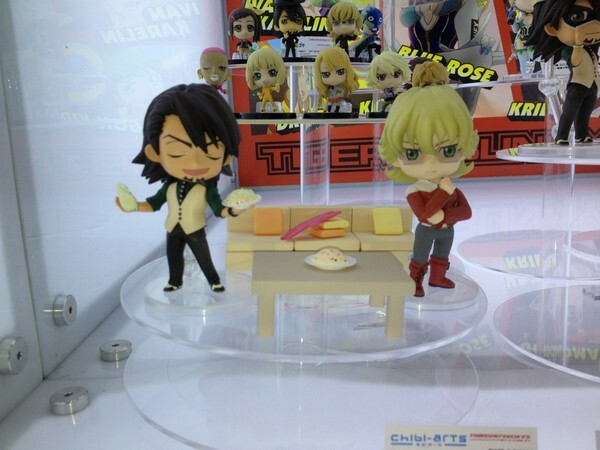 Not a week has passed since the battle for Wild Tiger MG Figure Rise and once again we have an announcement from Tamashii Nations regarding the upcoming pre-orders for Chibi-arts Barnaby Brooks Jr., S.H.Figuarts Lunatic, and Half Age Characters set. The pre-orders will open on April 3rd at 16:00 JST as usual. I don’t think I need to say how hard this battlefest is going to be with three “Do Want” items going up at the same time. 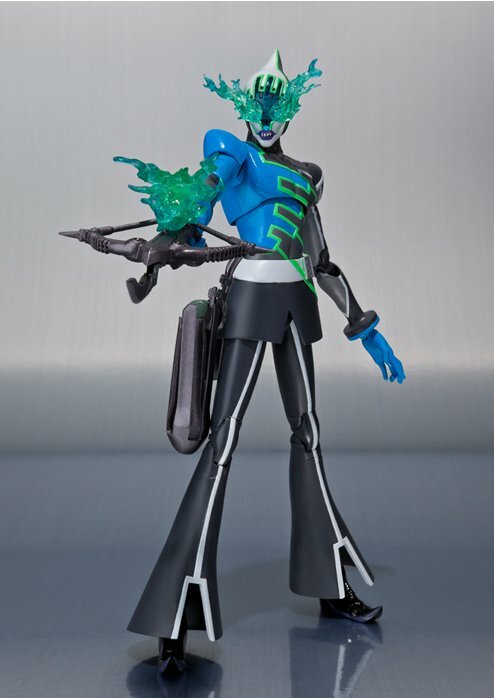 Lunatic’s figuarts comes with some great accessories – a set of flames for his eyes as well as his hands, and a flaming crossbow. The crossbow can also be folded and placed in his holster. His cloak also seems to be removable. Lunatic is going to be a standard release retailing for 4,725 JPY with a July release date. Barnaby’s chibi-arts will include: At least two different facial expressions (tsun-tsun face & smiling winking face), and his pink birthday bunny. I am still checking various sites to get more information regarding his packing and price. The most current information that I have been able to obtain is that Barnaby is expected to be released in July. The Half Age Character box vol. 1 will include five characters: Kotetsu T. Kaburagi, Barnaby Brooks Jr., Ivan Karelin, Karina Lyle, and Nathan Seymour. The Half Age Character line portrays the characters younger than their actual ages. The box will include 10 figures. There has not been information yet if the second set will be a different color variation or a double. 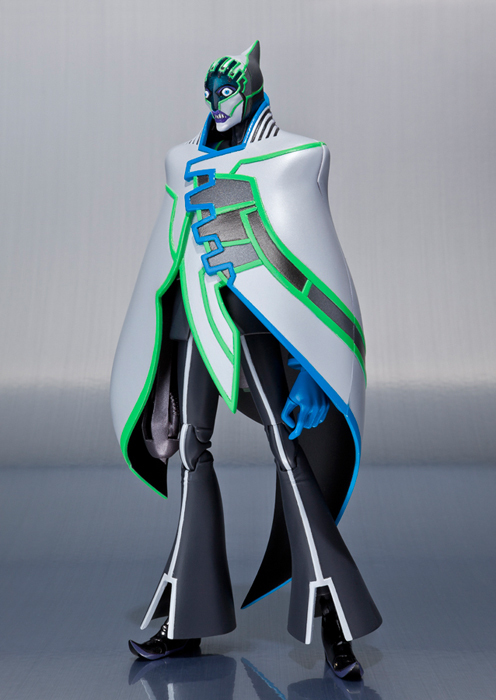 Each individual each Half Age Character will retail for 525 JPY. The box will be released in July. Is everyone prepared for this triple threat battlefest? I will have my GOOD LUCK mode armor on and my finger ready for the repeat F5 attack. One thing is for sure, this battle is going to be very tough. I was able to snag a set of Bandai’s Deformeister Petits which was released back on October 26th, 2011. 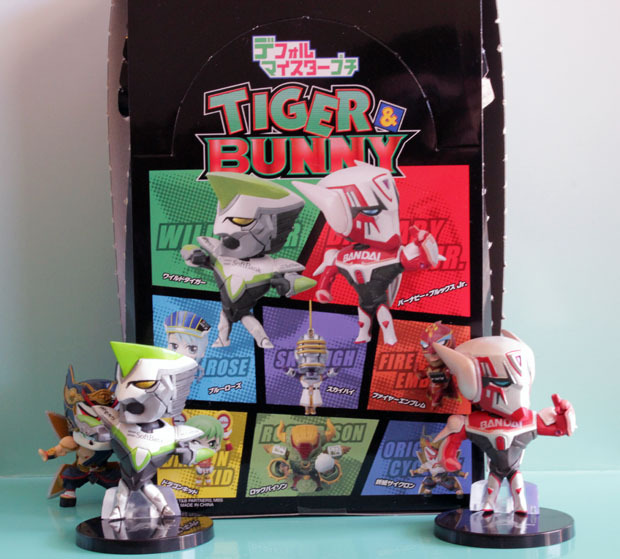 This adorable set comes with all eight of the heroes from Tiger & Bunny in chibi forms. Now let’s take a look and see if they’re a hit or a miss for Bandai.